An issue that seems to cause some confusion lately is exactly what are the “Profit Centers” of the typical dealership. Of course, this might differ slightly depending upon the size, complexity and make up of the dealership. However, there is an accepted format for this. Without a format that outlines the individual profit centers, how can the managing staff properly assign responsibility and accountability? In visiting with many dealerships over the past year, it has become apparent that confusion exists in this area. Some dealership staff are not exactly sure what their “True” job classification is and this creates problems, as well as a potential loss of income. For example, does “Back-end” profits incorporate the profits generated in the F&I office or in the parts and service departments? Here are the generally accepted profit centers of the typical dealership. After-market Profit Center: This includes all the profits generated by sales of after market products. This includes the sale of service contracts, environmental protection products or sealant products, GAP insurance, credit life & disability insurance, wheel & tire coverage and even the reserve garnered from interest rate mark-ups. This is most generally done in the Finance & Insurance office. Some dealerships still accept the risk of not having this in a single centralized center, and have each individual sales person conduct this business. A word to the wise in this respect—be extra careful that each sales person is trained and aware of the many trap doors created by the ever burdening compliance mandates. Back-end Profit Center: This is broken into two separate and distinct departments operating under one senior manager called the Fixed Operations Manager. This manager should have two assistants that head up the service and parts departments. Service Department. The service department should be a profit center accountable for the profits generated in that department. 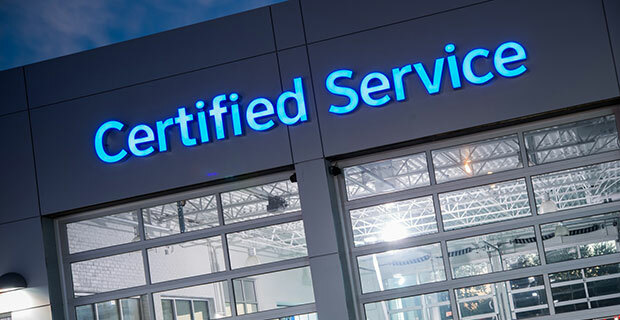 The Fixed Operations Service Assistant must insure that the service department works alongside the parts department to take care of the customer’s back-end needs. When was the last time your dealership advertised specifically for services performed in the service department? Parts Department. The parts department should be a profit center as well that is accountable for the profits generated in that department The Fixed Operations Parts Assistant must insure that the parts department works alongside the service department to take care of the customer’s back-end needs. A well structured, properly supplied and properly trained parts department can produce unbelievable profit for the dealership. It is very important for dealerships to insure that these two departments work together as a combined profit center. Pitting one against the other is highly detrimental and most often creates problems, feuds and unnecessary bickering. This happens frequently when one department blames the other for either not getting the proper part ordered or properly installed, etc. Some dealerships also have a stand alone body & paint department that account for sizeable profits for the dealership. It is important to have each of these departments have their own manager, or senior staff leader, that is in charge of insuring that each employee is properly trained, educated and aware of the importance that each respective profit center brings to the dealership. Naturally, the size of the dealership might mandate having one person in charge of more than one department. Regardless of the size, the dealership needs to have these departments be individual profit centers. It is also important for the dealership to stress the importance of each of these departments being a working member of the overall dealership team. I have been in dealerships where the sales department will actually encourage their potential consumer to have their back-end work performed elsewhere because they believe their service and/or parts department gouges their consumers. I have also seen sales staff inform the consumer that they should actually seek financing through their own sources because they feel their F&I department gouge the consumer. And, I have seen service and parts staff speak ill of their sales department and cause the consumer to purchase their next retail unit elsewhere. If a dealer believes that this just cannot happen, well then it might be time to take careful notice of what is happening in inter-department affairs. The service, parts and F&I departments must understand that the most profitable and largest supplier of business to their departments is the sales department. The sales department must recognize that the other departments are their best allies in reinsuring the consumer that they made a wise decision purchasing their RV from this dealership’s sales staff. A properly functioning dealership allows each department to understand the value that each profit center adds to the dealership. The sales department can encourage the purchasing of products and services that the other departments offer, and the other departments can provide strong leads, and increase overall customer satisfaction, for the sales department. This is when a regular dealership meeting can prove most helpful. Outline the importance of the “Team Concept” and how each department must work individually as a profit center, while remaining loyal to each other’s department. Bring in an outside consultant, educator, trainer or coach to conduct a portion of this meeting from time to time. Consult with the Association staff to secure information that can aid in this area. The Association can provide valuable material to assist in these meetings. They have everything from manuals to programs to cds from past experts in the various departments that have delivered session training at conventions. The key here is to know that there are individual profit centers in the dealership and to outline the importance of each department’s responsibilities. The very existence of many dealerships in today’s economic climate will depend upon the cohesive and collective efforts of each of these respective profit centers working together for the greater good of the financial survival of the dealership. Even as the business continues to pick up into the upcoming months, it is generally the slowest time of the retail season for most dealerships, it is a perfect time to start addressing this matter and put into place a program whereby each department recognizes the various profit centers of the dealership.